This next-level tool for college writers provides support that is personal, practical, and digital. 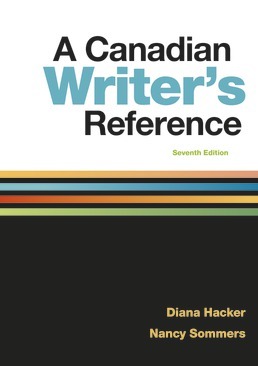 As a Hacker Handbook, A Canadian Writer's Reference helps students build confidence as college writers through innovative practice with writing, reading, thinking, and research in a multimedia environment. Take ownership of your college writing exprience and target your specific needs as you review how-to pages, writing guides, and student models before completing exercises and activities.